After spending her entire life in a concrete tank, SeaWorld’s oldest surviving orca born in captivity has died. Kayla, a female orca, began showing signs of illness on Saturday afternoon and ultimately passed away, theme park officials announced this morning. She was 30 years old. Born at SeaWorld San Antonio in 1988, Kayla had only ever known the confines of a tank and never experienced the freedoms of open sea. After giving birth to her first calf in 2005, Kayla was shipped off to SeaWorld’s Orlando park one year later — leaving her young daughter behind. In the wild, many female orcas will stay with their daughters for life. Her daughter died a short time after, at just 2 years old. In November 2018, Kayla started being used for special encounters where guests could pay extra to meet and feed her. 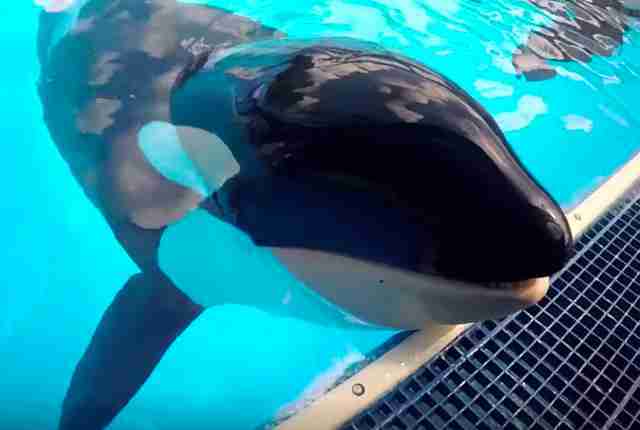 Kayla’s death follows a decades-long trend of captive orcas dying young or under unusual circumstances at SeaWorld theme parks — at least 49 orcas have died at the parks since the 1960s, when the company began keeping orcas, and most of them have died prematurely. In the wild, female orcas like Kayla live an average of 50 years, and can live up to 90 years. 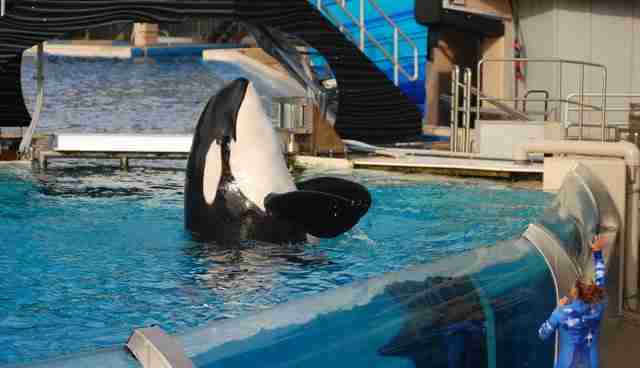 At its three amusement parks in the United States, SeaWorld owns 20 orcas — three of whom were taken from the wild. 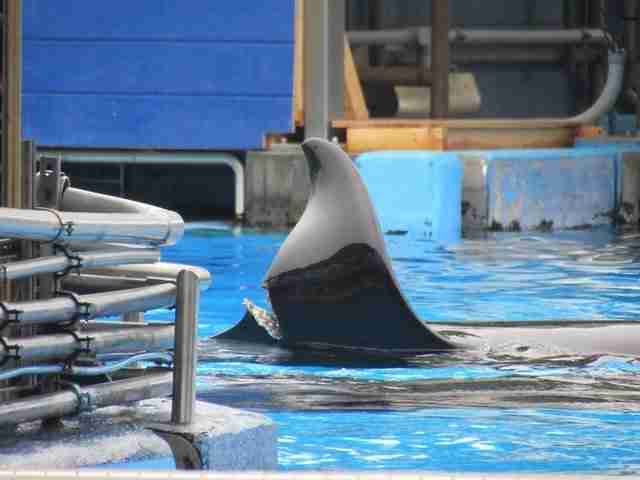 While the park continuously dismisses claims that its orcas may be under stress from living in captivity, several whistleblowers over the years have documented instances suggesting otherwise. Stressed orcas at SeaWorld have historically been spotted with bite marks or gashes from fighting with others in their cramped tanks. At a Spanish marine park, one wild-caught orca was even pushed to beach herself after her captive born tankmates shipped in from SeaWorld began attacking her. Kayla’s cause of death is currently unknown and a necropsy is scheduled in the coming days, park officials said. 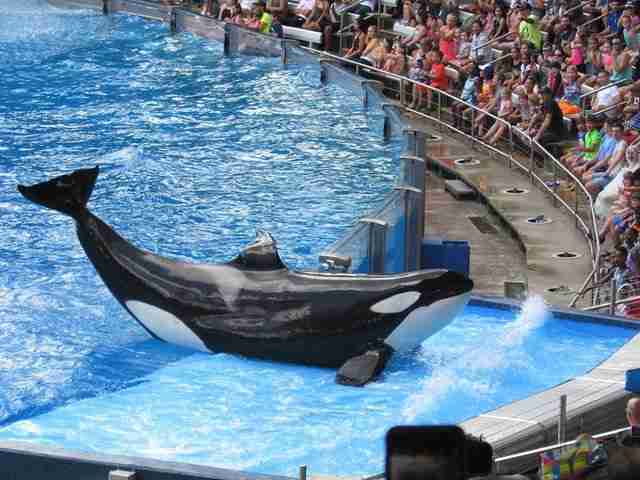 It’s highly unlikely, however, that SeaWorld will publicize the extent of this report. As seen in the death of famed SeaWorld orca Tilikum in 2017, the park is not legally required to disclose the full medical history or necropsy reports for deceased mammals — which would contain information that could point to a captivity-related death. "She was fine ... until she wasn't," Naomi Rose, a marine mammal scientist with the Animal Welfare Institute, wrote on a Facebook page she runs. "Cause of death will be reported when results from tests are in, but it will probably be inconclusive or rather uninformative. If the necropsy results were publicly available or evaluated in published research, there would be less of a mystery." Following Kayla's sudden death, animal advocates around the world are rallying together in support of whale sanctuary initiatives, which aim to relocate orcas used for entertainment into large, species-appropriate habitats in the ocean. It's the life that orcas like Kayla and so many others could only dream of — but their time sadly came too soon. "[We] will hold two memorials for her this week," Tracy Reiman, executive vice president of PETA, told The Dodo. "While we recognize that it's too late to help her, it's not too late to call attention to SeaWorld's other orca prisoners." To help create a sanctuary for rescued orcas, you can make a donation to the Whale Sanctuary Project.